April 2019 Beijing School News: Swimming with an Olympian, Learning Grants, and More! You are at:Home»Magazine»April 2019 School News: Swimming with an Olympian, Learning Grants, and More! What’s new in international schools this month? Visiting Olympian swims with kids, students win learning grants, and more! 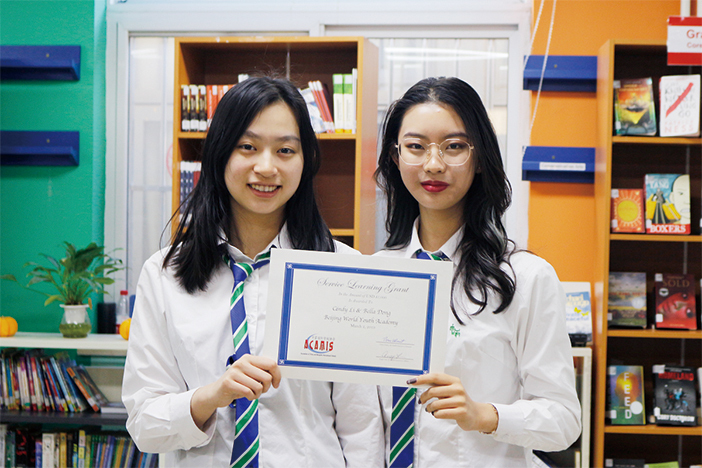 Beijing World Youth Academy (BWYA) students have won the ACAMIS (Association of China and Mongolia International Schools) Service Learning Grant. They stood out for their leadership, innovation, and contributions to the community. DP1 students Candy and Bella have been going to a local migrant school every Saturday, offering tuition in sciences, Chinese calligraphy, music, English, art, street dance, and film. 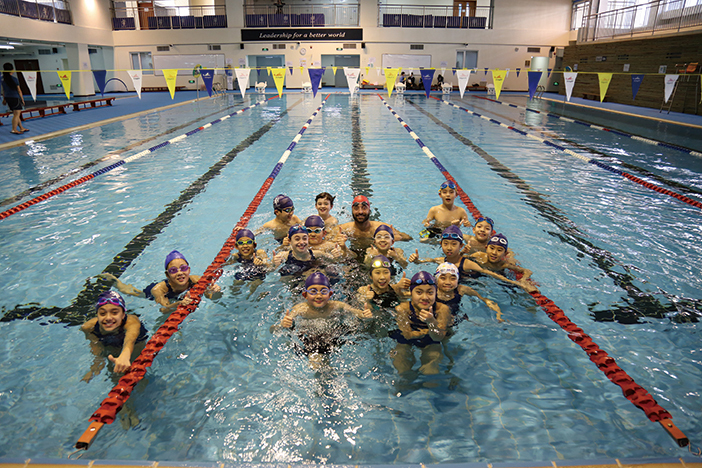 On March 6, Harrow Beijing Lower School students had an afternoon with the former Olympic swimmer, James Goddard, who delivered a swimming master class for the FOBISIA team, and then gave an inspiring speech about his life and how he became an Olympian. 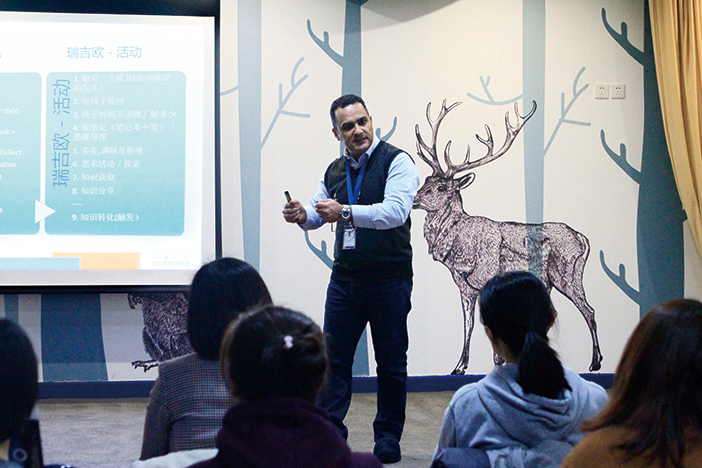 Farshad Danicek, Reggio Emilia education expert and co-founder of House of Knowledge (HoK), recently held a parent education workshop at House of Knowledge Xinglong campus. He transported parents into Reggio’s world with his professional teaching experience, humorous language, and vivid examples. 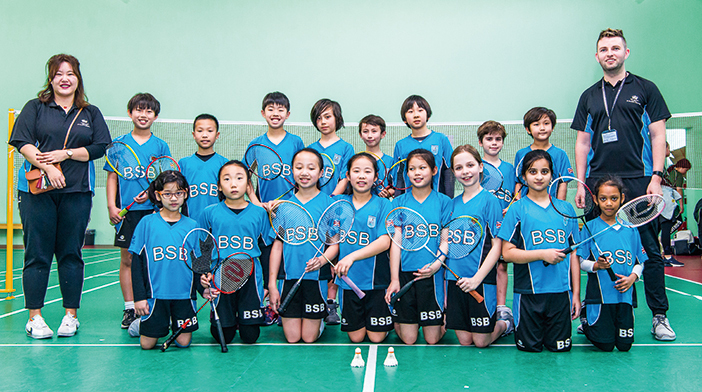 On March 11, The British School of Beijing, Sanlitun (BSB Sanlitun) students took part in the JISAC badminton competition. Lorraine Li and Cindy Huo won the Under 11 Girls Doubles final, while Chitraakshi Sharma and Carol Lakra reached the Under 9 final.